We decided that a train ride must occur during out trip out west. We took the Amtrack’s Pacific Surfliner from the train station in LA down to San Diego roundtrip. It was exciting to go on my first train ride. We ended up getting to the train station late thanks to stupid LA traffic that morning and missed our train. It was confusing to find the overnight parking too which added more delay. We ended up parking in an underground parking lot in the Gateway Center Union Station. However, unlike airplanes, we were able to get on the next train which left 1 hour later without paying any fees 🙂 Additionally the train tickets are cheaper than a flight down there. We boarded our first train and had to leave our big luggage downstairs to go get seats upstairs. Thankfully Amtrak had Wi-Fi and power outlets available. Also a dining car that had sandwiches available. I was pleasantly surprised that my train sandwich tasted pretty good. The views along our route were amazing. We passed right along the coast and beaches. It took us 2 hours and 45 minutes to get to San Diego and the train was on time. It was a very smooth ride. 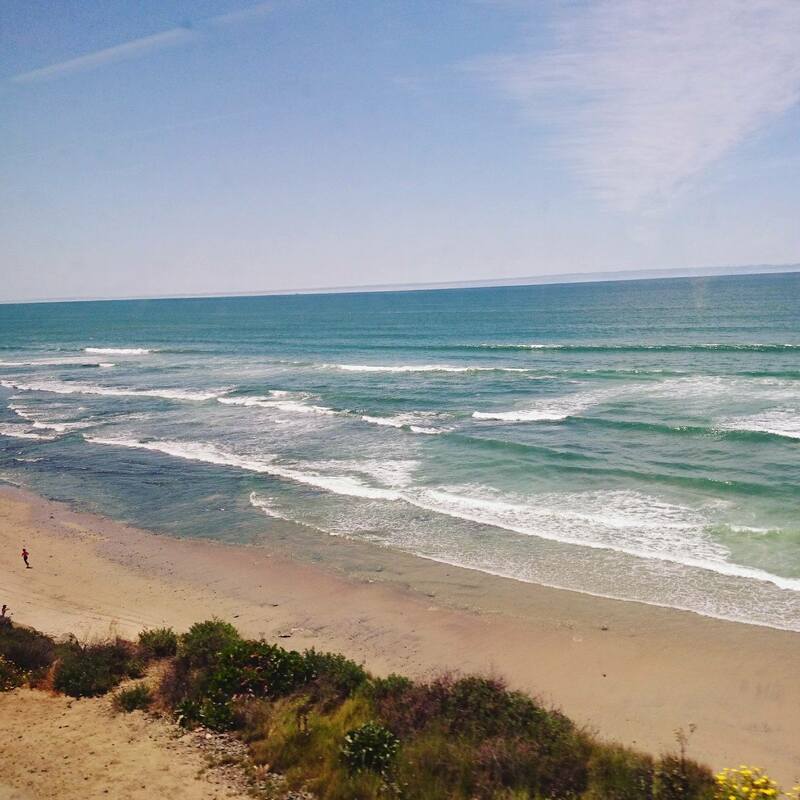 I’d definitely recommend the Pacific Surfliner train route. On our way back we had business class train tickets which included a complimentary snack box and wine.Yes wine is allowed on the train. I even used the train restroom in business class and was surprised how clean it was. Our stop was in Old Town station. San Diego was really fun. We used Lyft for the first time from the train station to our hotel. Our Lyft experience was quite pleasant, our driver was on time and friendly and gave us tips on visiting the area. Definitely recommend Lyft for getting around San Diego if you don’t have a car with you. We stayed at hotel Sofia for 1 night. It was pretty conveniently located downtown. 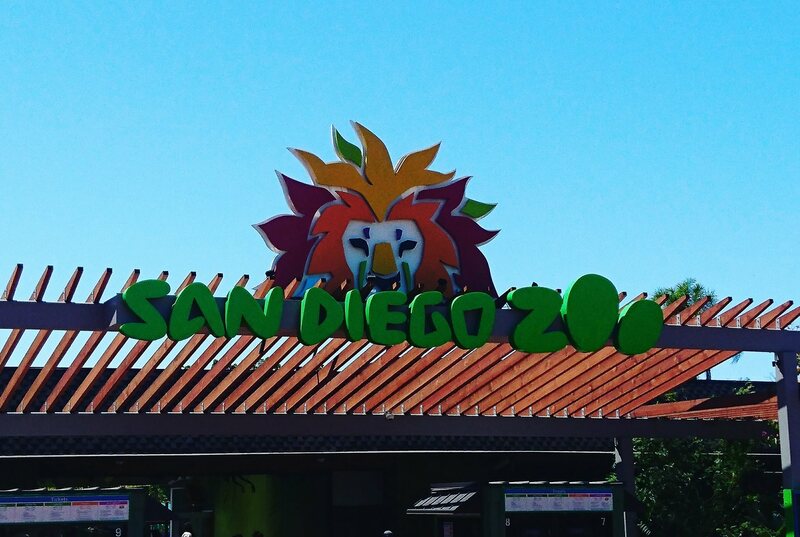 After checking in we took Lyft to the San Diego Zoo. It was park of our City GO pass tickets we bought ahead so we didn’t have to wait in line for tickets. At the zoo we didn’t want to stay very long because we had dinner plans with family that evening. To maximize our time at the zoo we took their Guided Bus tour which took us around the main areas of the zoo. 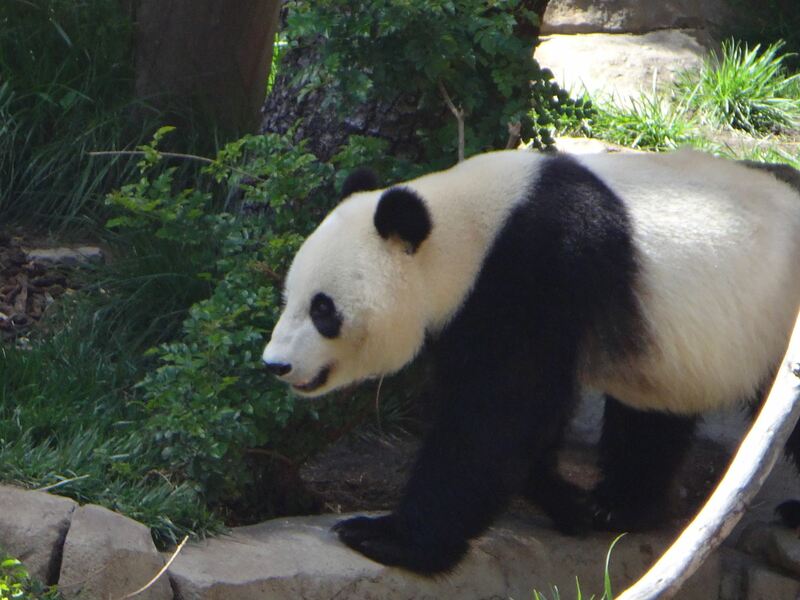 After we got off we had to go check out the panda exhibit and I saw pandas for the first time IRL! After the zoo we had to Lyft back to our hotel and get ready for dinner. Ended up having seafood dinner with JT’s family at Harbor House restaurant. The food was delicious and they had great views of the harbor. After dinner JT’s uncle took us to get some yummy cookies from Seaport Cookie and the sent us back to our hotel via a lighted bicycle rickshaw ride. 🙂 🙂 Another first for me. I really enjoyed San Diego. 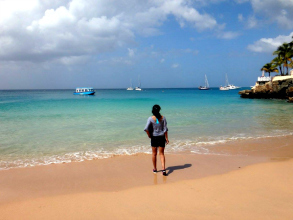 It’s warmer, cleaner and has a lot more touristy things than LA. I definitely want to go back and visit longer and take another train ride. The next morning we took our business class train ride back to LA via the Pacific Surfliner. Can’t say enough good things about the train experience, especially compared to the LA airport. I think business class was worth the upcharge. I’m sure Uncle, Aunt, and Cousin will be happy to see us again sometime!